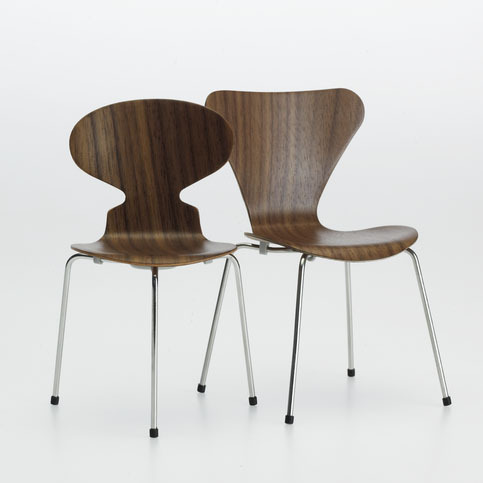 We love these miniature chairs which were designed by Arne Jacobsen! Both the Seven Chair (pictured on right) and the Ant Chair (pictured on left) are classics in the history of 20th century modern design. These miniatures are very similar to the Vitra Miniature Chairs. They are fully authorized by the Arne Jacobsen estate and are packed in a nice gift book which contains a 16 page leaflet summarizing the architecture and design of Arne Jacobsen. Each of these miniatures is available in a variety of colors.